Established in 2015, SciScouts is a specialised program within Scouts ACT created to deepen STEM engagement for our youth members. Evidence has shown that hands-on activities are one of the most effective ways to get youth engaged and interested in STEM. The strength of Scouting is the hand-on practical programs that we deliver according to the “Learning by Doing” ethos of the Scouting organisation, within a “Plan>Do>Review” methodology. SciScouts is nurturing an already naturally inquisitive audience of young people; we just provide the opportunities to build excitement, influence career aspirations, and to provide pure and simple inspiration in science discovery and innovation. By injecting broader STEM, into existing programs we support Leaders to further enhance the experience of the youth members. This also strengthens the skills of our youth members and Leaders and provides them with confidence to lead similar activities. This is achieved by participation activities, events and workshops. We will also deliver support materials and challenges to support Leaders in maintaining the momentum and interest that is generated. To date, we’ve enjoyed Astronomy programs in partnership with Mount Stromlo Observatory, a Chemistry program in collaboration with the ANU School of Chemistry; SciScouts: Environment; and SciScouts: Engineering in partnership with Engineers Australia and the ANU College of Engineering and Computer Science. 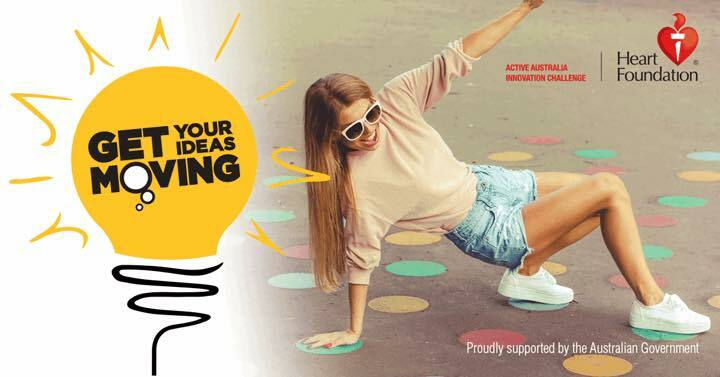 In 2019 we will be delivering SciScouts: Health and Fitness is proudly supported by a Heart Foundation Active Australia Innovation Challenge grant. To encourage all our members to lead a more healthy and active lifestyle more generally. The STEM Skills training workshop on 9am-4pm, Sunday 14 April 2019 is for Scouts, Venturers, Rovers and Leaders interested in designing and delivering activities as part of SciScouts: Health program across 2019, in particular the Joey Scout Fitness Challenge (26 May), Science in ACTion (11 August) and Get Out, Be a Healthy Scout (8 September). Bookings for the STEM Skills Workshop via www.trybooking.com/BAWBU. The workshop will delivered by SciScouts Team member Ayla Jones; and will help build skills in project management, facilitation skills and even an allocated budget to work with. It is relevant to both the old and new Award schemes. The Joey Scout Fitness Challenge will be held at Melrose High School on Sunday 26 May as part of SciScouts: Health & Fitness. 8:45am-2:30pm, with 45 min lunch break. Round-robin of 7 health and fitness activities. Limited spots for up to 210 Joey Scouts, and their Leaders. Bookings for the Joey Scout Fitness Challenge via https://www.trybooking.com/BBHKN. Get Out, Be a Healthy Scout will focus on the science of health and exercise for up to 1000 Cubs, Scouts, Venturers and Guides, age 8-18 will be held at Melrose High School on 8 September 2019. Bookings for Get Out, Healthy Scout via https://www.trybooking.com/BBHLP. The event will include a series of 45 minute workshops supplemented by an Exhibitor Expo. Each exhibitor will be experts in their field of health or exercise science, and will each deliver active hands-on activities. A satellite event delivering health and fitness activities in early October for up to 120 rural and remote Lone Scouts from across NSW, VIC, ACT and QLD at the annual Murum Weeklong Camp hosted by the NSW Lones Scout Group at Camp Canobolas in Orange.